shussei Oct 06 2016 5:16 am rin is sooo cute!!!!!!!!!!!!!!! Codeninja676 Jul 31 2015 9:58 am You forgot to add Madan Senki Ryukendo in his list of TV series. shibani Nov 12 2014 7:17 pm hai kenji i love this name .you are very sweet like a cute child. i just love your show . Nur Feb 11 2014 11:38 am Hello ryukendo, we miss u, we love to see u & rin as a nice jodi. Please come back. Zamri Nov 07 2013 9:04 am Hello shogo... I'm very like you tv show ryukendo..and i hope i'll meet you soon in jepan ok.. Goodbye..sayonara. ainnuha Nov 04 2013 2:22 am hye =) i'am one of the big fans.i hope i will meet you soon.i hope one day, i could meet you in japan . sona sharma Oct 17 2013 9:42 am i luv you forever. i like you as my actor i want to meet you you are very good actor please please please please starts the season second of ryukendo if it start it i think myself a very fortunate in the world i am your biggest fan i didn't like the actors of bollywood i like only you and you. i miss you. please come back with a male lead role in ryukendo. Himanshi Oct 11 2013 9:25 am i am a girl of just 13 years old and i love ryukendo so much that i can do anything. My biggest dream is to meet you and to become a japanese actress. I love you and rin as a couple. I can imagine how cute you both will be. s.sarkar Sep 19 2013 3:32 am PLS make season 2 of Ryukendo. I wanna see u as the male lead in Ryukendo 2. Sai Rasagna Sep 08 2013 5:05 am I m chanting just 3 words as mantra. Those 3 powerful words are: Narukami Kenji / Ryukendo / Yamaguchi Shogo. We all love You a lot. Umasankar behera Jun 06 2013 2:30 am Shogo u r very kool in ryukendo.i m a big fan of gen.please make ryukendo season 2. Oisharza May 29 2013 8:38 am Hi,Shogo.How are you? ss Mar 15 2013 11:40 pm hi shougou!!!!!!!!!!! swarupa mondal Mar 15 2013 11:29 am plz reply to my comment. aneena Mar 04 2013 10:31 am belated happy birthday!!! Rrusty Mar 03 2013 5:24 am Shogo, you are awsome in ryukendo. we want season 2. I know that gekiryuken and the other madan ryu cores were sacrificed in the sealing of the power spot. but the show is so awesome that we want more! Ramya Feb 27 2013 6:13 am My biggest wish is to meet kenji and all SHOT team members. Zetiizzati Feb 01 2013 12:08 am Shogo Yamaguchi is Awesome boy like Kenji Narukami!!!!! Kenji Narukami!!!! Ryukendo!!!!! Shogo Yamaguchi!!!!! Aneena Nov 06 2012 9:53 am I love ryukendo a lot . It's my favorite show in the world. My biggest wish is to meet kenji . You rock. meiyan Jul 19 2012 1:11 am hey shogo I watched your movie AZUMI. Why did you die so soon????????? kanchan Jun 18 2012 12:30 am Narukame kenji [shogo] I like you so much. I like gen also . He is very dashing. You two shogo and gen are my favourite actors.I love you both. Abhishek Jun 10 2012 1:48 am Konnichiha Kenjiiiiiiii you rock bro!!!!!!!!!!!!! Love your Ryukendo show and you wont believe how many fans you have here in India!!! Ryukendo, Ryuguno, Ryujino, Rin, Kaori, and all the cast of Madan Senki Ryukendo, we all love you soooooooooooooooooooooo much here! Please do come here someday, we'd love to meet you ^_^ Best show I've ever seen, just awesome!! They show it nearly every day on TV and I've watched every episode every time it is repeated cuz it is so much fun!!!! Thank you all, and greetings to the beautiful country of Japan! SARA May 31 2012 7:06 am RYUKENDO IS AWESOME!!!!!!!!!!!!! luv dis show. srp May 31 2012 3:49 am shougou ! u became very very ....... famous in our india we will be sooooooooooooo......... happy when u come here i saw ryukendo every episode many times when it came . Every day we watch and will watch it with out missing . when ryukendo season 2 starts? samruddhi May 30 2012 4:33 am You are the best actor.and cool.I like japan and Ryukedo series.I like to meet you. samruddhi May 23 2012 2:54 am hi, shogo you are very best actor.you are very cool.I like RYKENDO episods.you are best and famous. Kanchan sorte Apr 29 2012 11:41 pm shogo yamaguchi; me and my sister are your biggest fans. We love you so much. you are too smart and amazing in ryukendo. Kanchan sorte Apr 29 2012 11:38 pm shogo yama..guchi; me and my sister are your biggest fans. We love you so much. you are too smart and amazing in ryukendo. 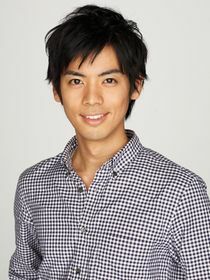 John Alice Apr 12 2012 11:02 pm hi, Shogo Yamaguchi. You are my big fan & you are awasome. long live.god bless you. trijya Mar 24 2012 12:13 am Shogo Yamaguchi is very cool,handsome and dashing. i luv ur show. U r totally amazing.... Ur acting is very good and ur co-stars also support u very well... Besides 'u' i luv 'RIN' too.... I wish that i may come Japan and some how meet u... Plz give ur mobile nmbr... Keep on rocking dude!!!! Konzo Dan Mar 18 2012 8:48 am Madan Senki RyukenDo is the best show in India at DisneyXD.!!!!!!!! Kenji-Kun. Naman hindwan Mar 14 2012 10:23 am u..r the best n my all tym f.vr.t.. hero.. n no one can replace..you...u r vry,,cute too..
misaki Feb 25 2012 3:21 am youre so cute! misaki Feb 25 2012 3:19 am hi shougo! you rock! kuroda Feb 23 2012 12:44 am activate the ryuken or god ryuken key n god ryukendo raijin. shikha soman Feb 21 2012 8:32 am u r so cute and phenomenal.ohhh lala. Akimi Feb 18 2012 10:10 pm Love you a lot shogo and jusshirou fuodeou.........sweetu. mehnaz Feb 16 2012 9:37 am oh kenji!you are the cutest of all.I like u very much.my friend sultana also loves u dearly. Krupesh Raval Feb 11 2012 6:28 am I think you dont know but your show is also broadcasted in India and I will never forget the show in my life thanks to your awesome acting . Thank you again . komal tayade Feb 07 2012 12:55 am hey shougo i'm a BIG fan of yours!! your very awesome!! hoping to try to find you when I visit Japan!! your very cute!! you rock!! yeah!! but there's no much information about you on internet :-(,, where do you live? trijya Jan 25 2012 2:05 am Shogo Yamaguchi is cute,handsome and very cool. Lakshmi Tejasvi Jan 11 2012 6:37 am hey Shogo ,you are such a handsome and marvellous actor.Your "Madan Senki Ryukendo is so good,Really love the chemistry between you and kayuri. krutika Dec 31 2011 4:10 am You are so good........ I like ur serial Madan Senki Ryukendo.. very much. LOTS of luv from me!! narukami kenji do you remember sweet rin? Sonia Oct 19 2011 4:29 am u r the cutiest person in the world. i luv uuuuuuuuu ! can you please give me your personal mobile number? luan Dec 05 2009 2:56 pm Shogo Yamaguchi is soo cool!!!! He is good at Madan Senki Ryukendo too!!!! keitarou Oct 29 2009 1:49 pm men, you are great i born in mexico, but am i japanese and i love the santai series i can ask you some thing? can you give Lady gold`s telephone number please? Kamila Sep 06 2009 1:09 pm Curto Madan Senki Ryukendo, eles são demais!!!!!! Felipe Henrique May 24 2009 6:19 pm Shogo Yamaguchi is soo cool!!!! He is good at Madan Senki Ryukendo too!!!! Felipe May 23 2009 8:34 pm Shogo Yamaguchi is awesome! !